This program was a collaboration between DTP and Migrant Forum in Asia (MFA) to continue the engagement with, and capacity building of, individuals and organisations at the heart of efforts to drive change in the treatment of migrant workers in the MENA region. The Diplomacy Training Program (DTP) and Migrant Forum in Asia (MFA) have been developing and implementing a capacity building strategy in the Middle East and North Africa (MENA) with the objective of promoting more effective implementation of labour and human rights standards to labour migration policy and practice and the rights of migrant workers. The capacity building program on Human Rights Advocacy and Migrant Workers in the Middle East and Asia was held in Beirut, Lebanon from May 21-25, 2012. The Diplomacy Training Program understands that this was the first such program held in the Middle East that was able to bring together advocates from Asia (countries of origin) and from the Middle-East (countries of destination). The program focused on the situation of migrant workers in the Middle East. Millions of migrant workers, men and women, travel from Africa and Asia to work in the Middle East – in construction, manufacturing and service sectors – and as domestic workers. There they work under the Kafala (sponsorship) system, criticised by some as akin to modern day slavery. The need for agreed standards of human and labour rights to be applied in the region is therefore urgent. Effective civil society advocacy – by NGOs and trade unions – is essential if these standards are to be applied. The training program included sessions on international human rights and labour rights standards and mechanisms relevant to the rights of migrant workers. There were sessions on research, alliance building, advocacy and lobbying – and engagement with local civil society organisations, including migrant community representatives. There was also a field trip to shelters run by Caritas Migrant Centre Lebanon for women migrant workers, highlighting the experiences and abuses facing women migrant workers in particular. 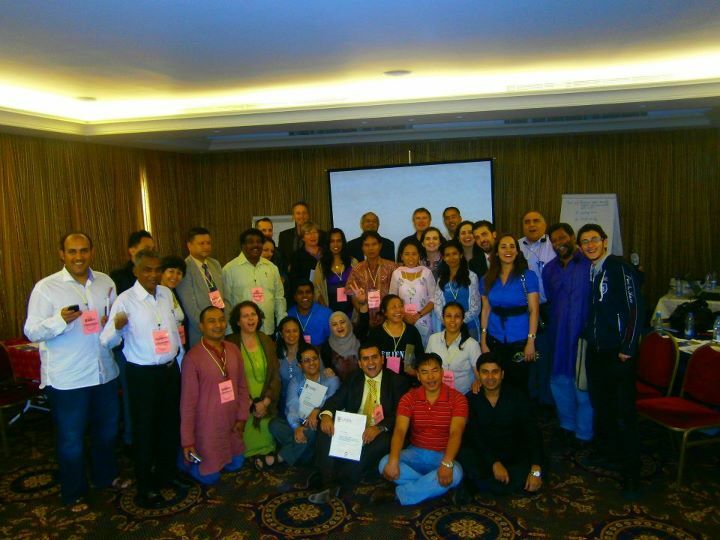 The program brought together 30 participants from 11 countries in Asia and the Middle East – most representing trade unions and NGOs.